Get more business from QRCodes in the store! Thinking this question is probebly as botehering as wondering what to cook for everyday’s dinner. What if we can get inpired by fruits and vegetables from the supermarket? 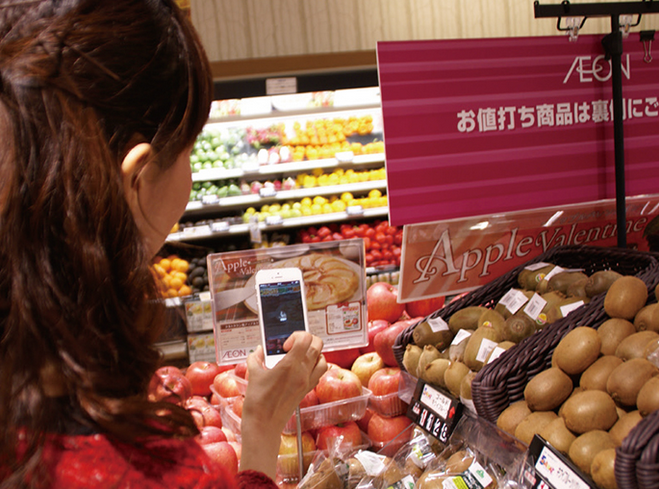 In Japan’s Chiba prefacture, the newly opened “AEONMALL Makuhari New City” provides customer with cooking information in their fruit and vegetables stores. 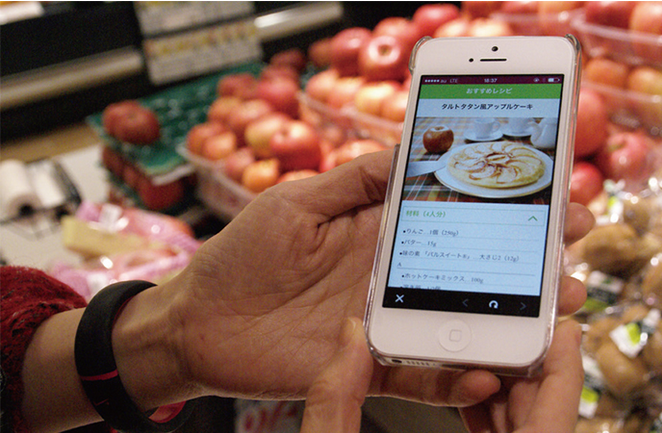 Customers can scan the display boars next to the fruits by App and link to the relevant recipes. This approach allows consumers to buy not only the product itself, but also its value-added information. For customers who is as easily been persuaded as me may even buy other products mentioned in the recipes. 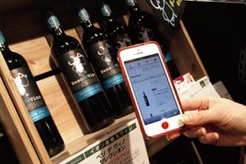 In the wine shop, customers can also scan the wine and watch a short video about it. 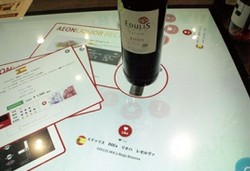 Or they can put the wine on the table with sensor and learn more about the growing regions, food and wine pairing, price...etc. AEON also provide other service in different kind of storea. For example, customers can scan the posters of women cloth and link to the online store. Even if you have spent all of your monet in the wallet, you can try the cloth first and buy them when you are back at home! Although AEON use image recognition technology in their service, this concept still can be accomplished by using QRCodes. Further more, you don’t need to ask customers to download your app. Comparing to the additional costs in App development, QRCodes are better approach! I really hope that next time when I visit Costco, Wal-Mart, or Target, I will see a lot of QRCodes to scan and related product to buy!